Officially when you are visiting Morella, you are entering one of the prettiest villages in Spain. 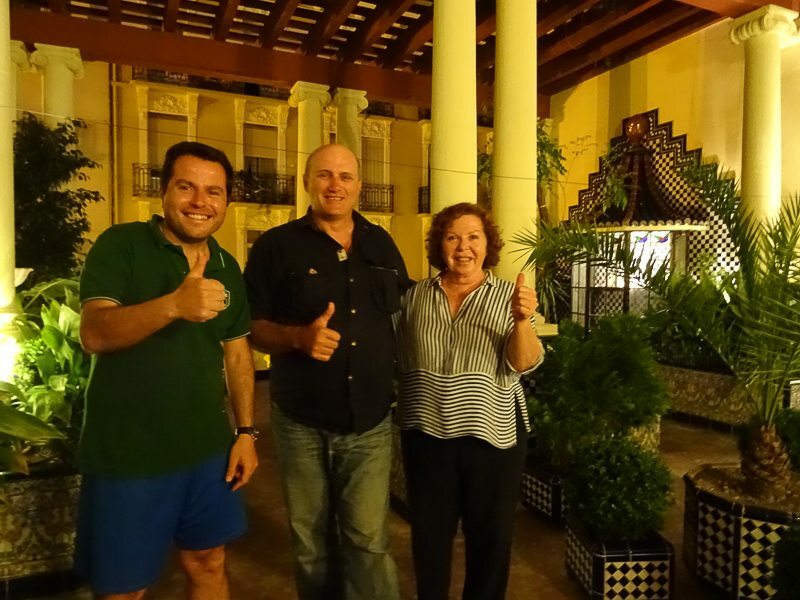 There are a total of 68 villages and towns located in various parts of the country that have been integrated officially into the Prettiest Villages in Spain Association. And that is no mean feat, as there are many very pretty towns all over the country. Cadiz in the Andalucian region and Cartagena in the Murcia region being two we also really liked, but they aren’t officially acknowledged by the association. We also had the pleasure of visiting another of the official prettiest towns of Spain, on this trip; the stunning Middle Ages town of Albarracin in Aragon, and you can read about it here. 3 Morella is a small town. Morella is an ancient medieval walled city, which sits or perches high on top of a rocky hill around 1000 metres above sea level. As you approach through truffle country, you wind your way up mountains to be greeted by this imposing walled city sitting very proudly overlooking anyone who approaches it, and that is undoubtedly because of their chequered history which I will explain about briefly. 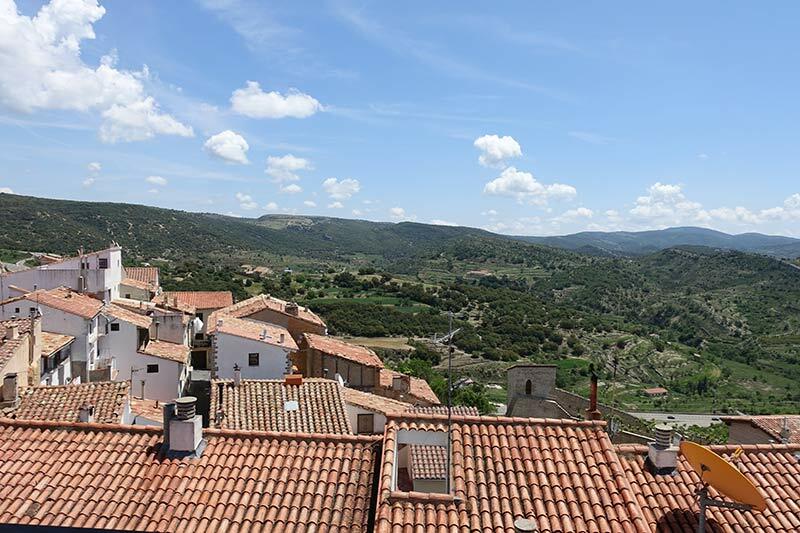 What you also get when visiting Morella are some of the most amazing views of the beautiful countryside down below. You see fields, mountains, mist rolling through the valleys, sheep grazing in the paddocks as you sit above observing everything. As you approach Morella, you will also see the Aqueduct of Santa Llúcia, which was constructed by the Romans centuries ago. The site of Morella is enough to award it as one of the prettiest towns in Spain. 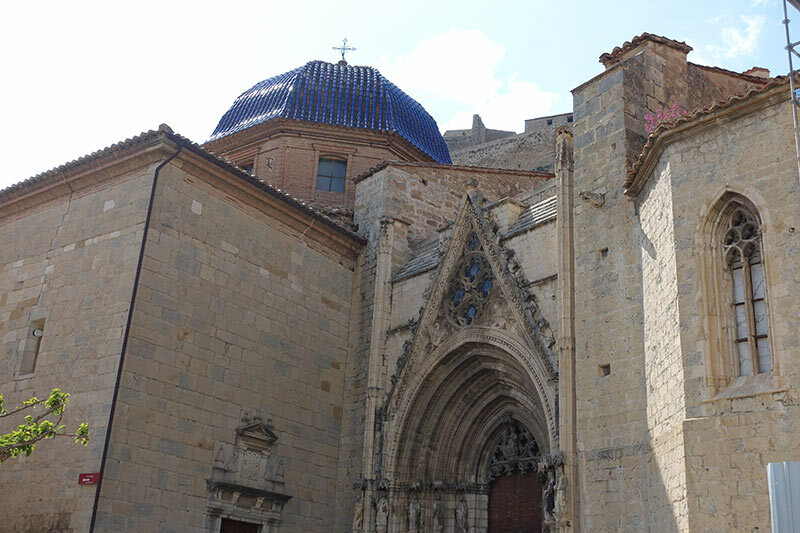 But, as you enter through one of the seven walled gates, you will see the inside of the walled city, and know exactly why Morella is one of the prettiest towns in Spain. It exudes history, archaeology, art, festivals, cuisine, and nature. It is full of amazing architecture, like the Church of Santa Maria la Major. 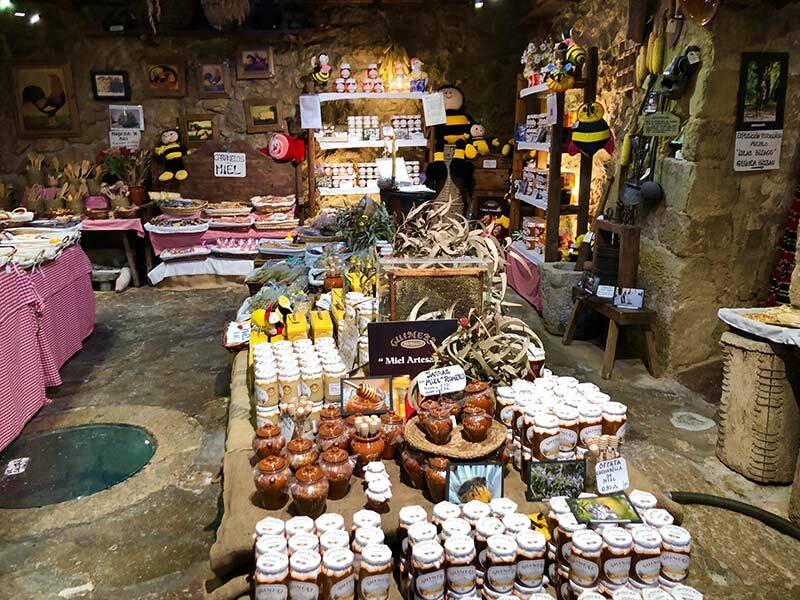 You will quickly notice that Morella is also a gastronomes delight, and the truffle reference may have given that away, and you will see that it is full of artisan’s shops as you meander through the cobblestone streets. Morella is a small town. 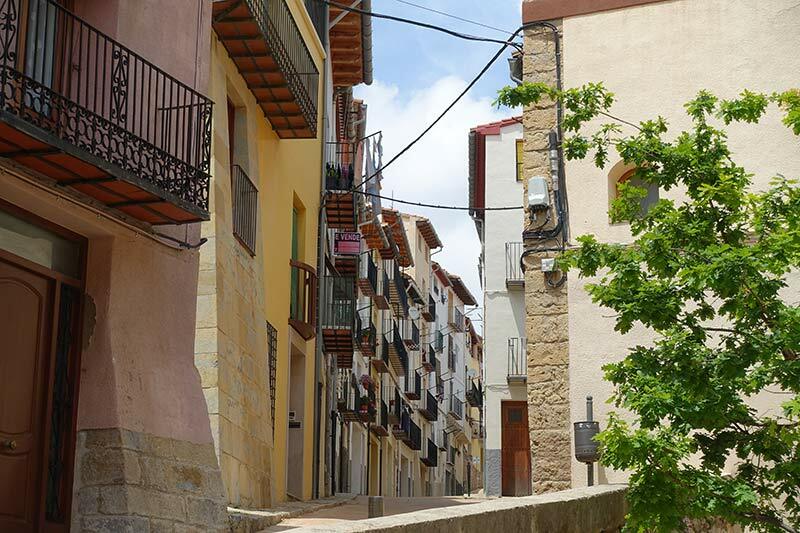 You will quickly see that everyone knows everyone in Morella, and this gives it an immediately friendly atmosphere. With a population of just 2,504 (2016), and I would guess many would be holidays owners from Valencia, you can see why this has a real sense of small town community. Morella is an ancient walled city located on a hill-top in the province of Castellón, Valencian Community, Spain. 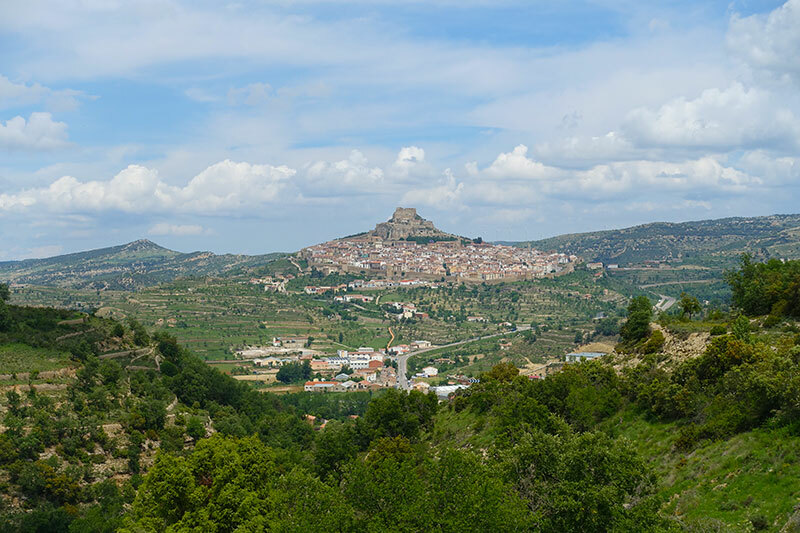 While there are some buses, by far the easiest way is to hire a car to get to Morella, and if you have time, explore the region. We came from Tarragona and were treated to one of the scariest road trips as we approached Morella with a steep mountain pass, full of switchbacks or hair pin bends, yet one of the most amazing spectacles to behold. Topographically, I am sure it would look like the switchback road near Flam in Norway. It was a little like the corniche roads of Monaco and Monte Carlo. The Corniche Roads are the cliff roads along this stretch of the French Riviera. 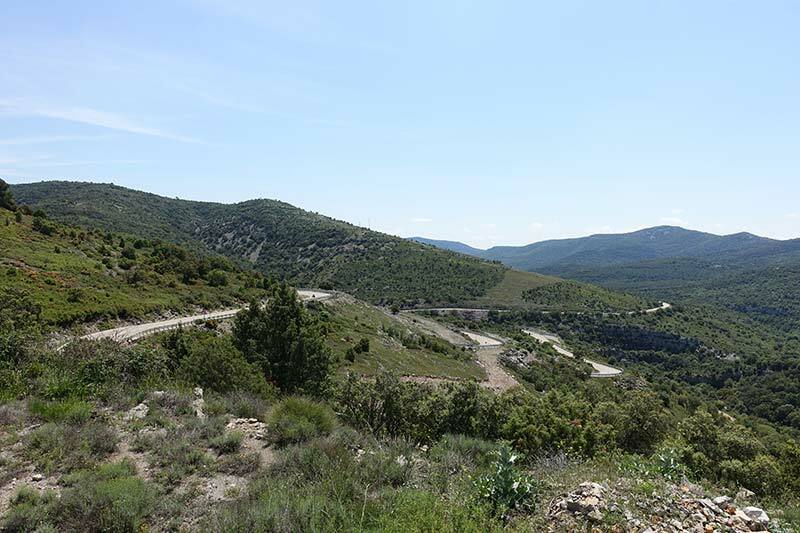 I say to you, that the road from Tarragona to Morella, with the semi-trailers negotiating the hairpin bends, and you trying to negotiate the same bends, beats them hands down. There is a beautiful road from the Zaragoza/Valencia side that takes you through some of the most ethereally beautiful countryside, rivalling the Ring of Beara in Ireland…nearly. Daredevil or not? I suggest you come in one way for the sheer drama and leave the other for the total beauty when visiting Morella. 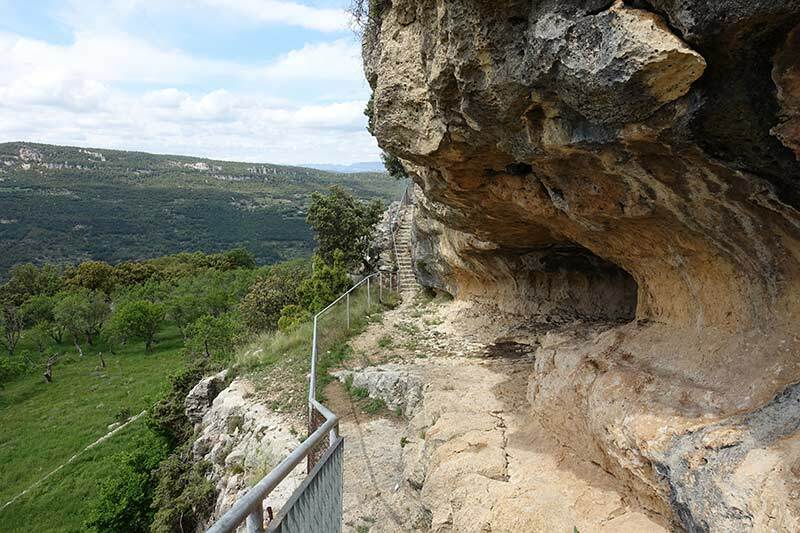 • At Morella la Vella you can see cave paintings, from 4000 years BC, showing the Neolithic past of the city. 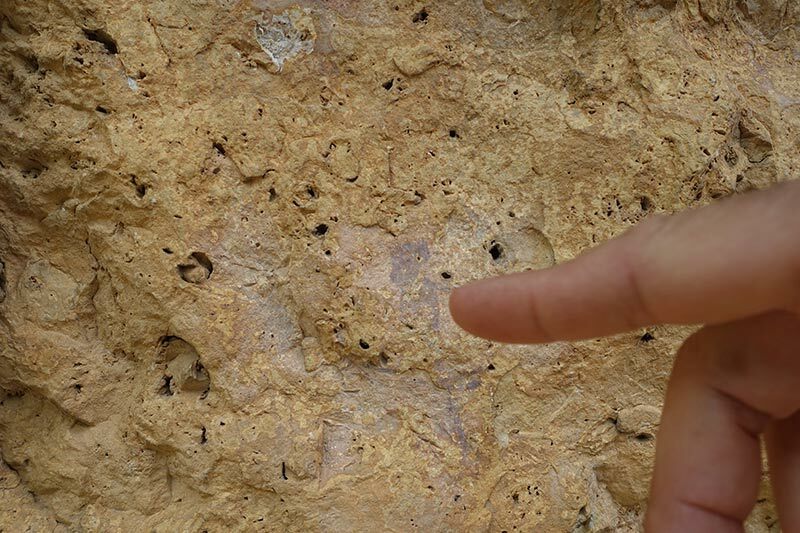 Just register at the Morella Tourism (Plaça Sant Mique) for a guided tour, which is free and take a g walking tour with an acclaimed archaeologist, and see some of the oldest and smallest cave wall paintings in the world. 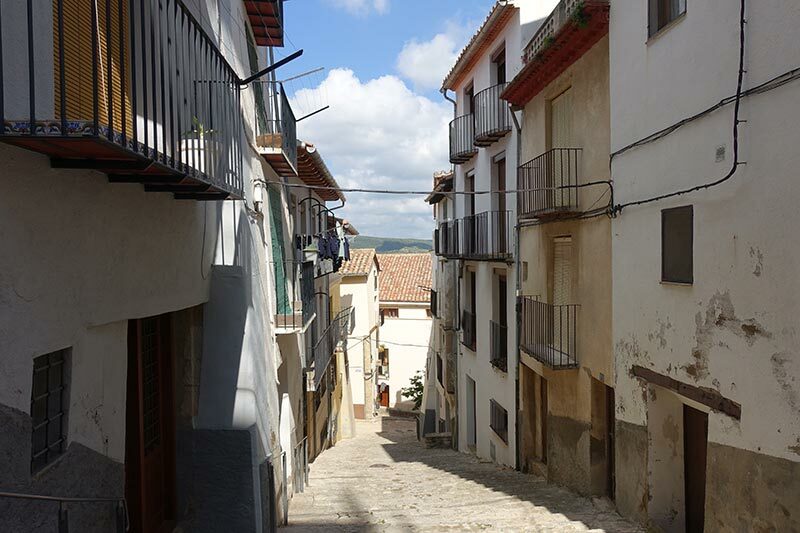 You will need a car to get to Morella la Vella, which is about 20 minutes from Morella. • The Greeks once had a treasury in the town, but then Morella became part of Roman Tarragona. • In 714 it was taken by the Moors, who called it Maurela. • In 1084 El Cid, who may have rebuilt the town’s castle, fought in the Battle of Morella, and won. • The Christians conquered Morella in 1231, and later in 1270 became part of Valencia’s kingdom. • During medieval times, the town was renowned for its artisans, and also reached a peak in wealth. 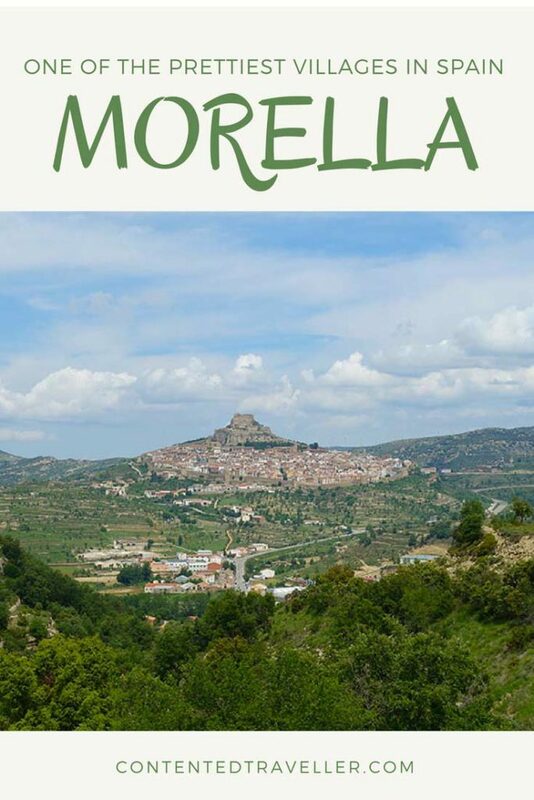 • During the War of Succession, Morella remained on the Borbon side, and only 1,800 people remained in Morella; the rest choosing to leave. • During the 1960s and ,1970s many inhabitants again left the town. • After Spain returned to democracy, Morella started to thrive again. 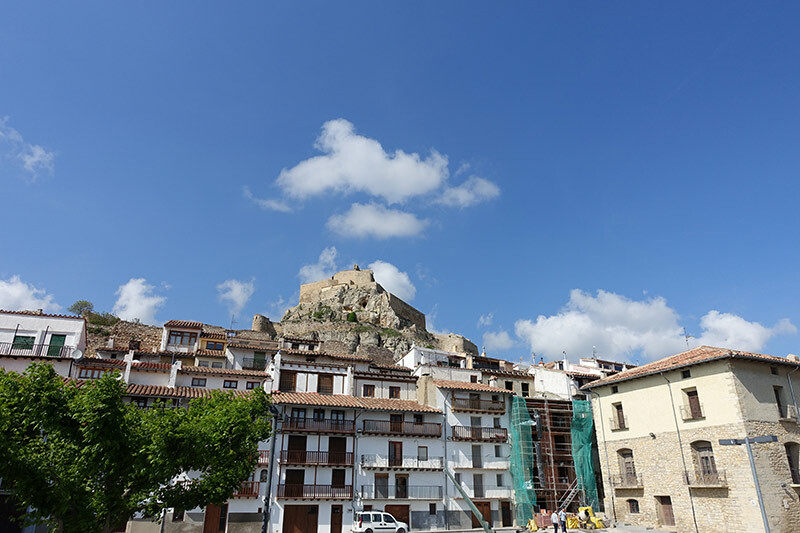 It is now starting to thrive as more and more people are visiting Morella, one of the prettiest villages in Spain, and one that will capture your heart. Get fit. As to be expected, but still daunting, there are many winding streets in Morella that go up steeply or come down equally as steeply. There are steps .. lots of steps .. and you will need to be fit to walk around or get fit in the process. Watching the locals do the steps with ease is something to behold. 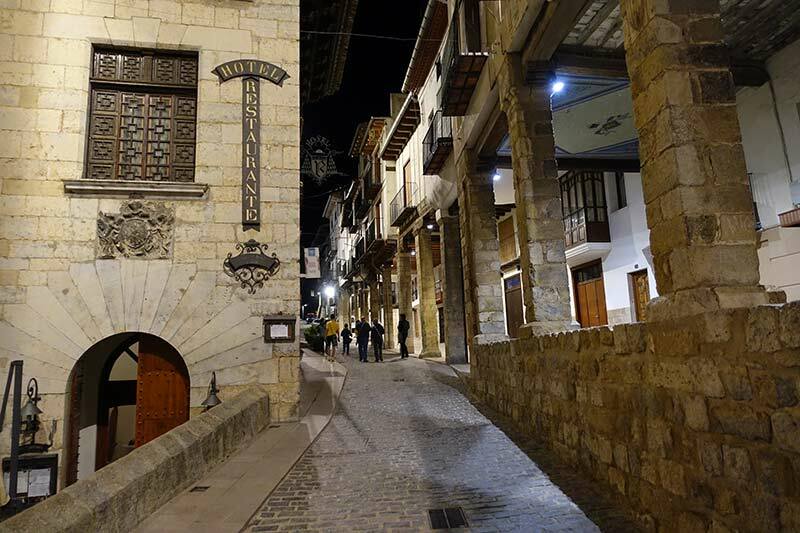 Alternatively, stay in the gorgeous main street of Blasco de Alagón, and people watch, sample the local produce and just soak in the atmosphere of Morella. 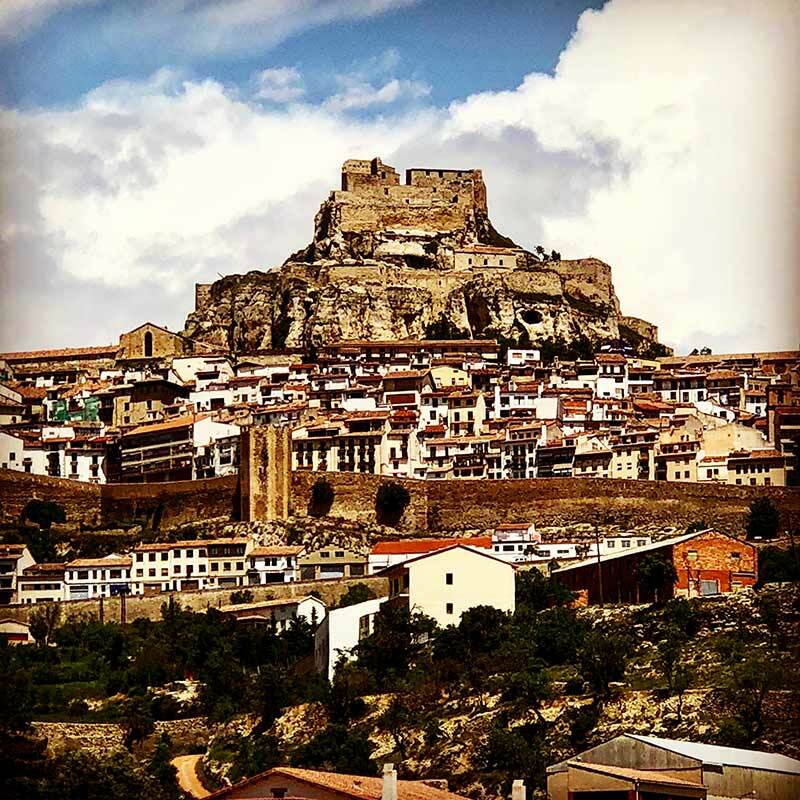 Sit in a café and just look around at the amazing buildings, the people, and life in Morella. There are always alternatives. The ruined Morella Castle is the crowning glory of this hilltop prettiest city in Spain and was declared a monument of artistic and historical importance in 1931. It will test your mettle to reach it. Of course, admiring it from all over the town is an equally viable option. 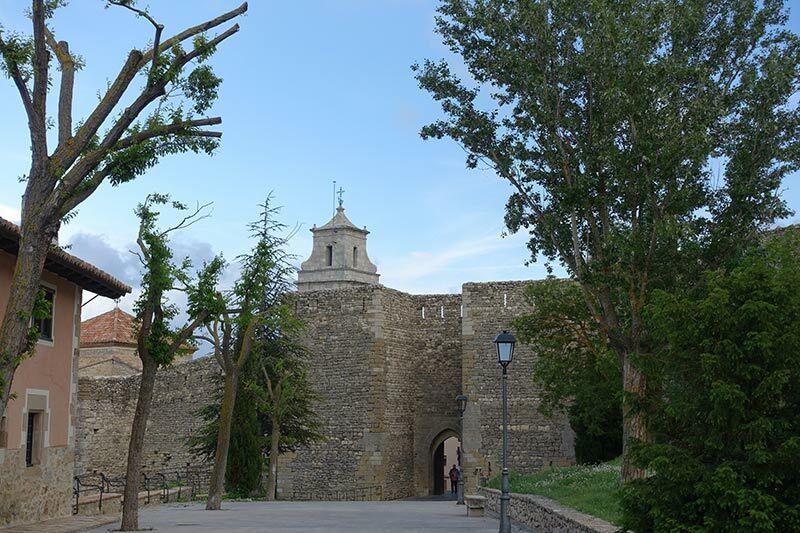 There is a lovely promenade walk from L’Albereda de Morella, an urban route that links the Porta dels Estudis and the Porta de la Nevera gates around the base of the castle giving epic views over the surrounding countryside. 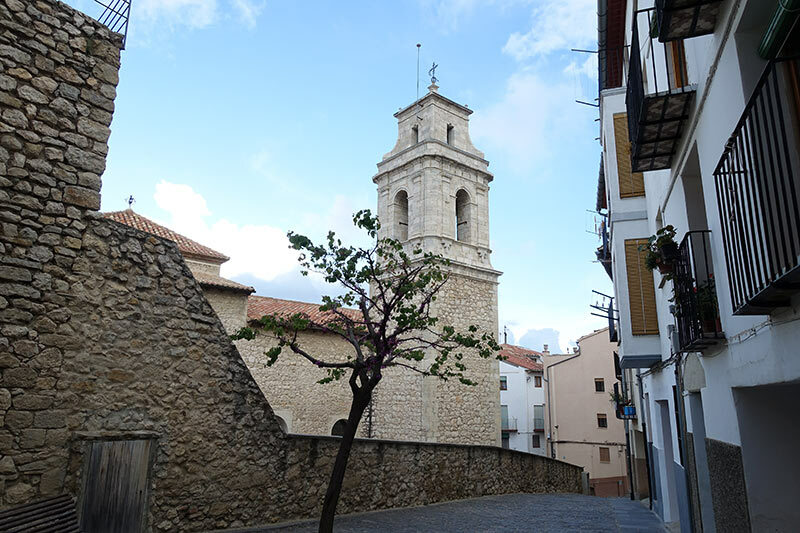 The main street, Blasco de Alagón, is a delight to wander, and a delight to sit and linger over a long drawn out lunch or dinner as the locals do. 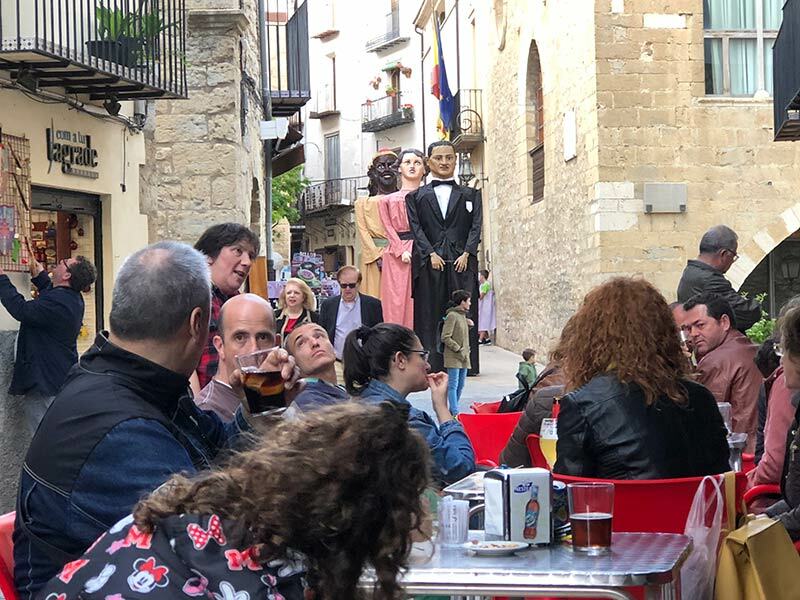 Luckily Morella is not high on the radar of tourists, so you can easily get a local type experience if you are there for a few days as we were, and the locals start to know you. 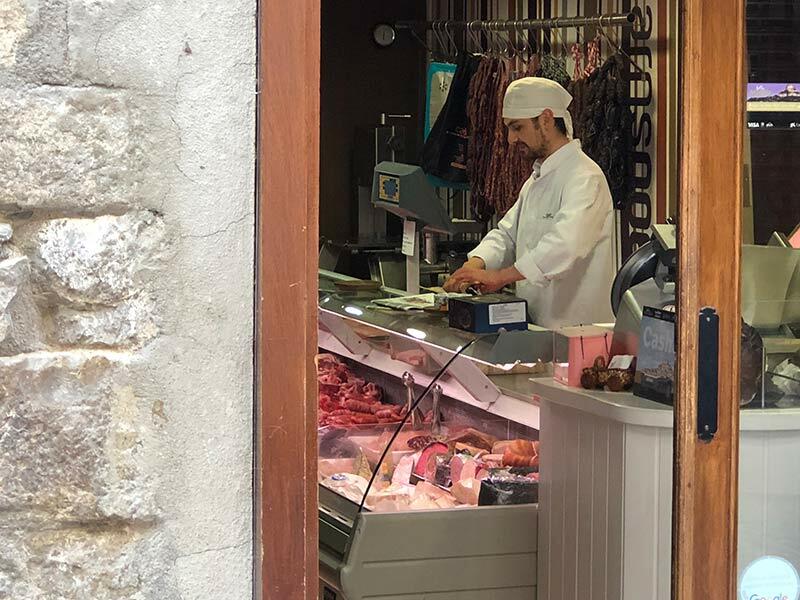 To wander the streets, you will come across the local produce and the generous free tastings that the locals are very willing to share. Though there is not a lot of English spoken in Morella, hands become the universal means of communication, and it works. Cheeses, sausages, olive oils, many varieties of honey are all locally produced as are the prized black truffles of the region. 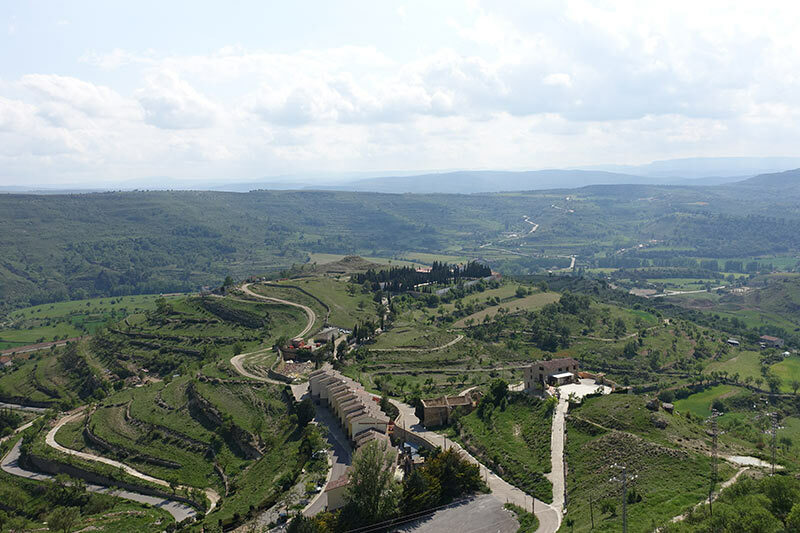 The local olives come from the thousand-year-old olive trees in the Maestrazgo Mountain Range, which surround Morella. Locals are more than happy for you to taste their goods, and you should, as they are divine. Expect to see the locals discussing the state of the world over a beer or a vino in cafes, on benches, and under centuries old arches. 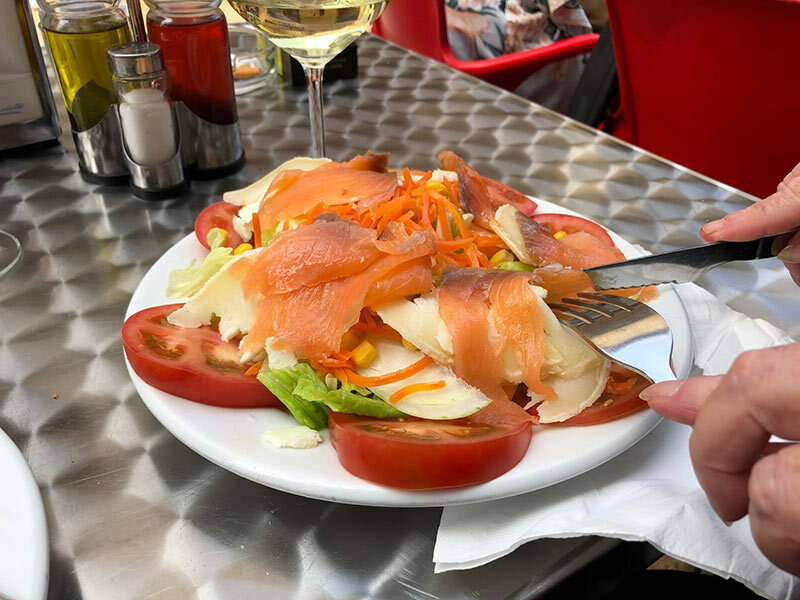 Expect to see the children running around the cafes, kicking soccer balls in the streets and expect to see them out late at night, because this is Spain, and you don’t go out for dinner until at least 10 pm. And it all works. It gives you that sense of community. We were fortunate to be in Morella on the Festival of Corpus Christi. 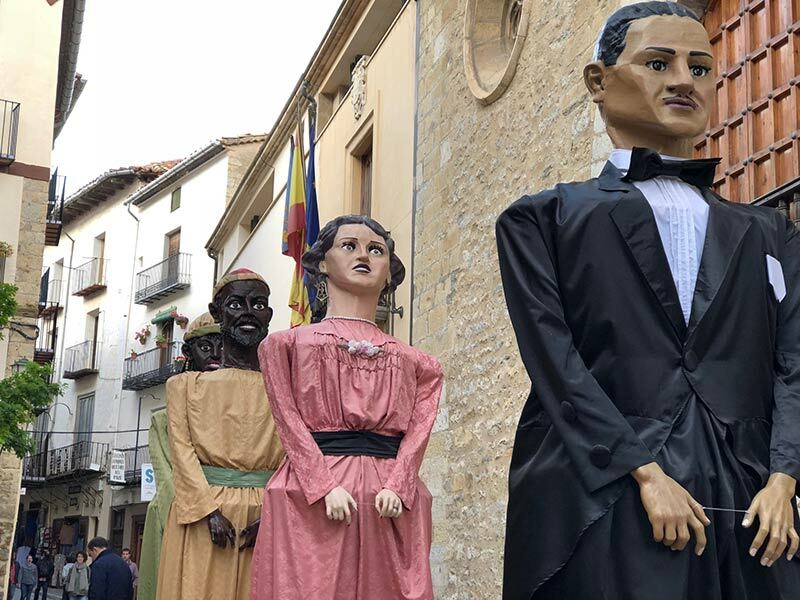 The celebration of Corpus Christi in Morella is the oldest one in the Mediterranean. Its origin dates back to 1358. We were there for the Saturday night pre-parade which left from the town hall, known as Ajuntament in the main street leading up the hill to the church. This is known as La Degolla. The children have their own parade first, and they wear white with a red sash, carry wooden swords that are then stained with saffron and water. 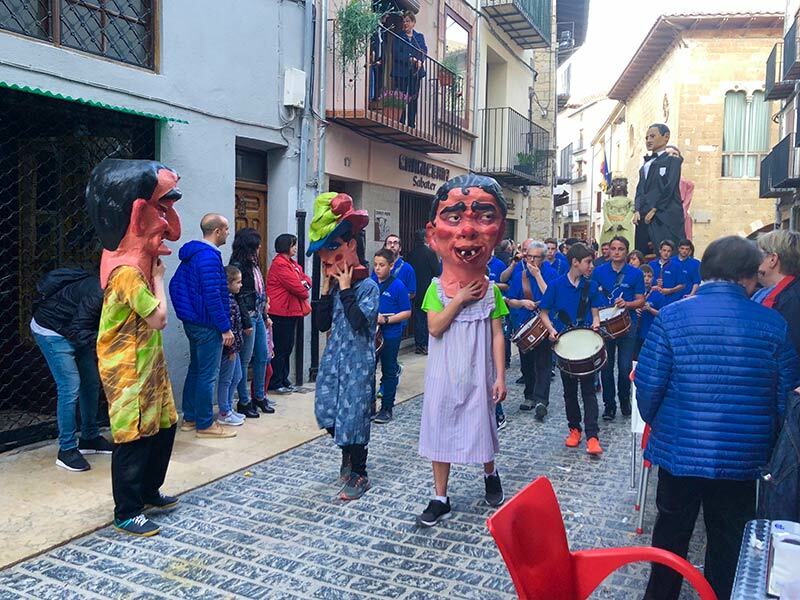 The people of Morella, one of the prettiest villages in Spain, know how to celebrate. Then it was beers all around for everyone. To be quite honest Morella looks and feels affluent. The people dress well; the town is immaculate, the people eat and drink well. There is a sense of quiet confidence about Morella as if they have nothing to prove. They are fit (the steps) they live in a beautiful, or one of the prettiest city in Spain, and they like one another, and they liked us. We really liked this enchanting town of Morella, and totally agree that it is one of the prettiest towns in Spain … and not just physically.